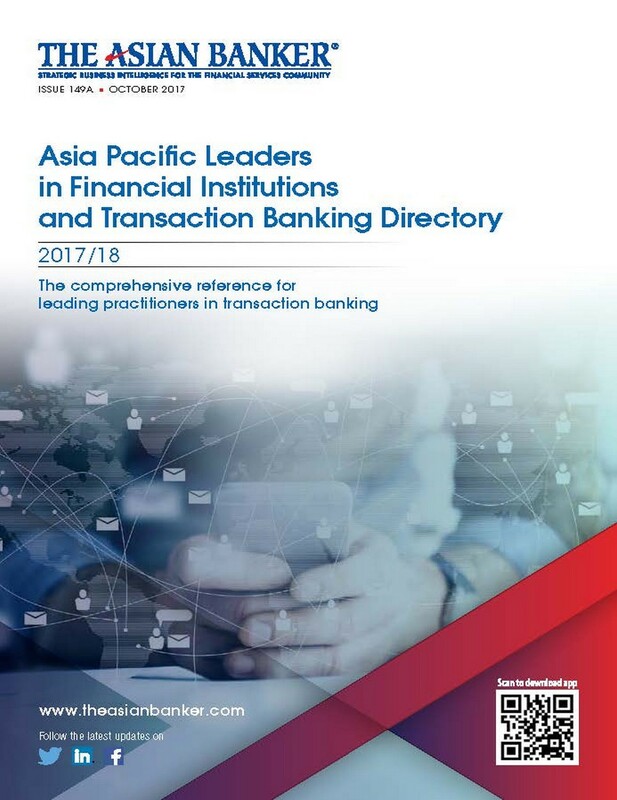 The List of Leading Practitioners (LLP) is a programme designed by The Asian Banker to identify, recognise and mobilise the men and women who are shaping the financial services industry in their respective markets on an on-going basis. These include practitioners in the domestic as well as regional and global fronts whose work or influence are relevant to the Asia Pacific and the other emerging regions that we cover. This recognition programme is based on several important tenets. Firstly, it is a reflection of how we at The Asian Banker want to track and document the development of the industry. Not through the headline news, which is often inadequate in itself to hard-nosed practitioners, but by being close to the work of individuals on the ground. The selection process itself requires us to be rigorous in our assessment of whether specific people and their achievements actually contributes towards emerging best practices shaping the industry. Secondly, by doing it this way, we create the platform from which leading practitioners can be aware of and relate to each other across institutions, borders and business lines. By their very nature, Leading Practitioners become engrossed in their own area of concentration that platforms such as these reminds them of the relative dimensions of others whose work they should be interested in and interact with. Thirdly, all the work we do in building our own body of knowledge for the industry is based on going back to this List of Leading Practitioners to participate in the various dialogues we create, and to validate the repository of data, research and benchmarks that we publish, so that this is not a static list, but a living and highly interactive one. Finally, anyone interested in the Asia Pacific region will be able to see and understand this phenomenon called the “Rise of Asia” in the context of the actual amazing people, the flavour and the energy they represent in an immediately visual and personal manner. Globalisation and the impact of the Internet demand that we do it this way, and facilitates this effort by giving us tools for interaction that you will see us use extensively in this programme. We welcome feedback on the development of this programme. Please do send your comments to Foo Boon Ping, the project editor of The List of Leading Practitioner Programme, who is doing an amazing job bringing all this together. Congratulations to all of you who have been selected by our editorial and research teams to be in this list. At the end of the day, it is your continued work and credibility that makes this the most prestigious list of its kind in the industry.